(April 15, 2015): Despite a February proposal in which the Centers for Medicare and Medicaid Services (CMS) said 2016 Medicare Advantage payments would decline, on average, by 0.95%, Federal regulators are now saying 2016 Medicare Advantage payments will go up compared to 2015. CMS estimates that payments to insurers that offer private Medicare plans will rise about 1.25% next year, and insurers will probably see their overall revenue increase about 3.25% as they deliver, and bill for, more intensive services. Because of the support, health insurers largely expected CMS to roll out favorable 2016 Medicare Advantage payment rates, but they were less sure about how the government would update the risk-scoring system. In February, CMS said it would make a full transition to a new, updated hierarchical condition category methodology for 2016, which was first proposed in 2013. Insurers expressed concerns about this model because it would it would affect their risk scores and bottom lines. Many, however, still believed CMS would gently transition to the 2014 risk-coding recalibration model, which uses the hierarchical condition categories. Medicare Advantage payments are adjusted for each beneficiary’s health status using those categories. The model allows plans to be paid more for patients who are sicker and have more complications. In its final announcement, CMS wrote that it will blend the risk scores calculated using the 2013 CMS-Hierarchical Condition Category (HCC) and 2014 CMS-HCC models by 67% and 33%, respectively. CMS wrote that it strongly took into consideration the comments it received opposing the original proposal to use a “blend of the 2013 CMS-HCC model and 2014 CMS-HCC model in 2015.” CMS recognized that additional time is needed to transition to the 2014 model, and therefore agreed not to use risk scores from just the 2014 model. Taking into consideration the final payment updates and changes for 2015, CMS was concerned that the use of the proposed 2014 blend percentages of 75% and 25% “would not have the same effects on payment stability that they had last year.” With this in mind, CMS decided to “blend the risk scores calculated using the 2014 CMS-HCC model with risk scores using the 2013 CMS-HCC model, weighting the normalized risk scores from the 2013 model by 67% and the normalized risk scores from the 2014 model by 33%.” CMS hopes this formula will help move to the updated model while also providing time for plans to transition to its use in payment. The risk scores from the 2013 and 2014 CMS-HCC models will include the risk scores calculated from the institutional, community, new enrollee, and C-SNP new enrollee segments of the model. They will be used in Part C payment for disabled/aged beneficiaries enrolled in Medicare Advantage plans. With the increase in payments, there will undoubtedly be an increase in scrutiny for Medicare Advantage claims. 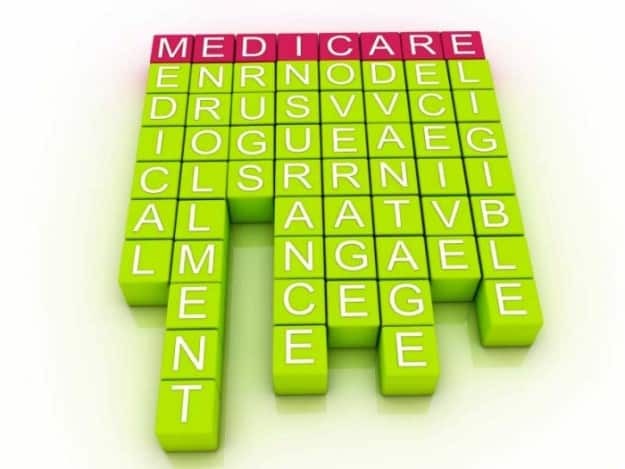 Do you know the requirement differences for Medicare Advantage claims? Do you understand how the risk-coding recalibration in 2015 will affect how CMS views your billing practices? Call us toll-free at 1-800-475-1906 for a free consultation on how your business utilizes Medicare Advantage. Robert W. Liles, Esq., is a Managing Partner at Liles Parker, Attorneys & Counselors at Law. He focuses his practice on internal audits/investigations, fraud defense, and compliance and regulatory matters. The attorneys at Liles Parker represent a wide variety of health care providers and suppliers in administrative and civil proceedings. For a free consultation, call Robert at 1 (800) 475-1906.